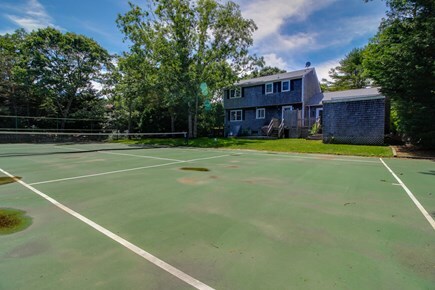 With a private tennis court, a game room, and room for as many as 13 guests, this lovely Edgartown vacation rental is the perfect choice for your next Martha's Vineyard getaway! Only four miles from downtown Edgartown, it's just a short way to gorgeous views and hikes at the Mass Audubon's Felix Neck Wildlife Sanctuary. The surrounding area is calm and peaceful, and the bike path into town goes right by the house. 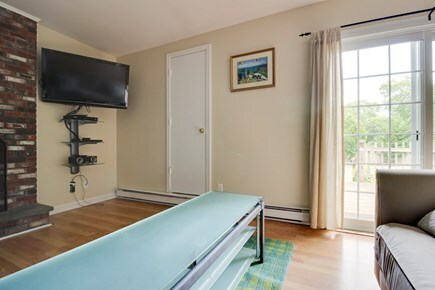 Curl up to watch some cable in one of the two living areas with TVs, or select some music over the WiFi and play it over the sound dock. 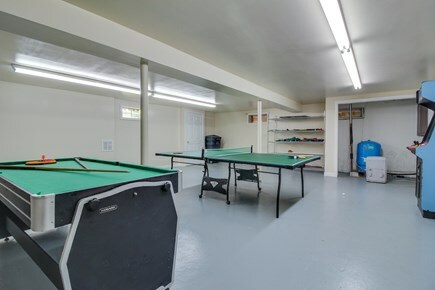 Downstairs, the basement has a pool table and a ping-pong table where you can be entertained for hours. If you're feeling a bit more active, head to the private tennis court outside or take the kids to play on the playground! 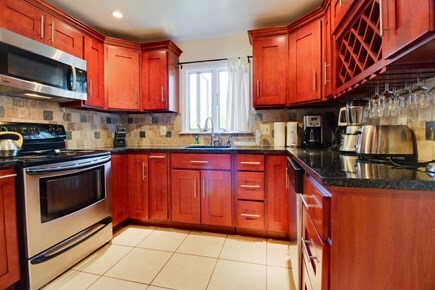 A fully equipped kitchen has updated appliances, including a dishwasher, and fun extras like a mixer and a blender. 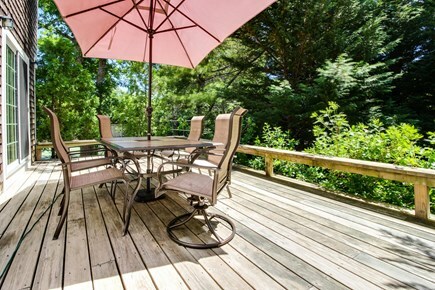 Outside on the deck there's a grill for sunny afternoon barbecues and patio furniture where you can enjoy the food in the fresh air. 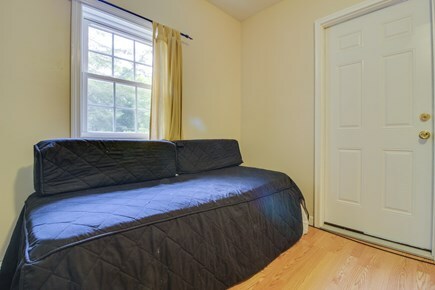 Or, if you'd rather, there's a formal dining room for a more sophisticated atmosphere. 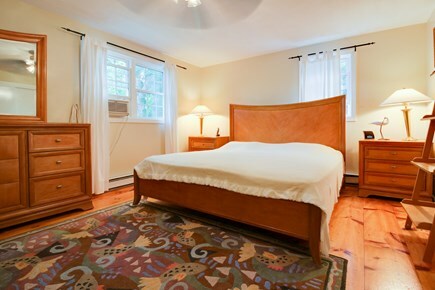 There are six bedrooms, sleeping a total of 13 guests (eight adults maximum). 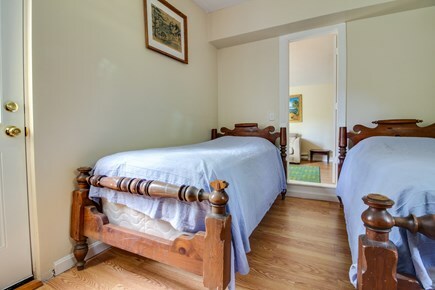 Two of the bedrooms are ideal for couples, one with a king bed and one with a queen. 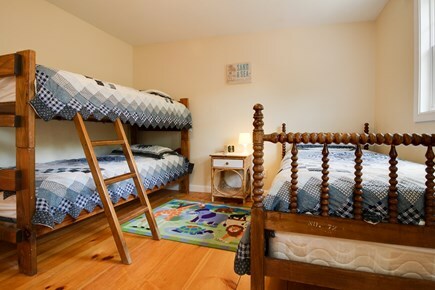 The rest of the bedrooms are great for kids - one has a double bed and twin bunk bed, while the others have twins. 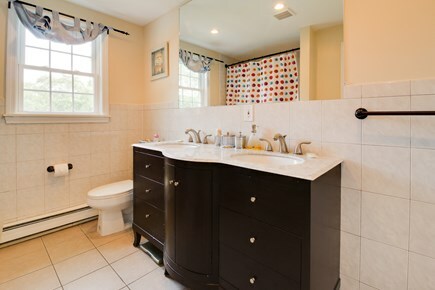 There are three-and-a-half bathrooms and a washer and dryer, so it's easy to keep everyone neat and clean. Bring along the camera so you can photograph the historic Cape Poge Lighthouse, fish for bass to eat for dinner, or tour Vincent House, the oldest house on the whole island. 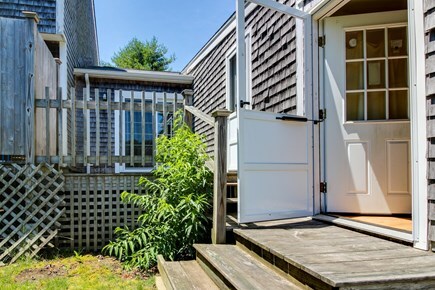 For a great time with your favorite people, reserve your dates at this wonderful Martha's Vineyard vacation home now! Additional pricing info: We are available 24 hours a day, seven days a week. Contact us with any questions and for complete,, State and local taxes of 9.7% will apply. 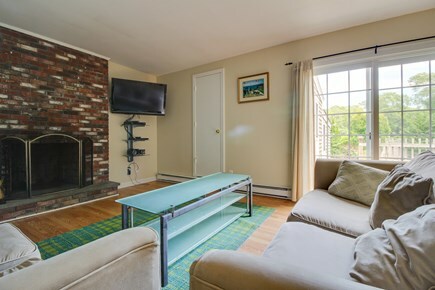 Nice large clean family home, close to beaches, shopping and ferry. Nice, little private neighborhood. 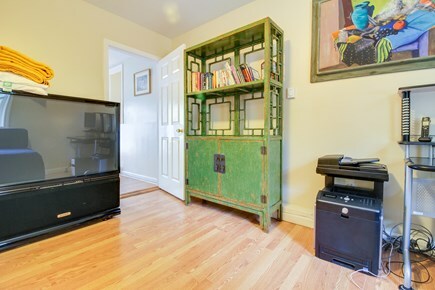 House is great for children with game room and play area. Tennis court is also a plus. 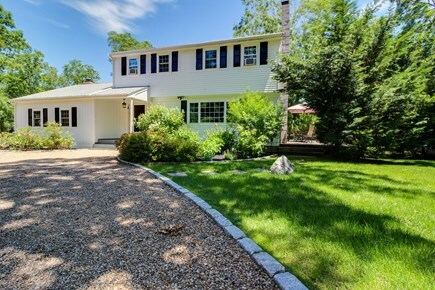 Can accommodate large family get together. Lovely location!